I have been a pain management and oncology nurse for over 20 years, and have long been a patient advocate. Eight years ago, I joined the ranks of those living with a chronic pain syndrome (persistent post craniotomy pain), and in the last year spent an ungodly amount of time in acute pain. 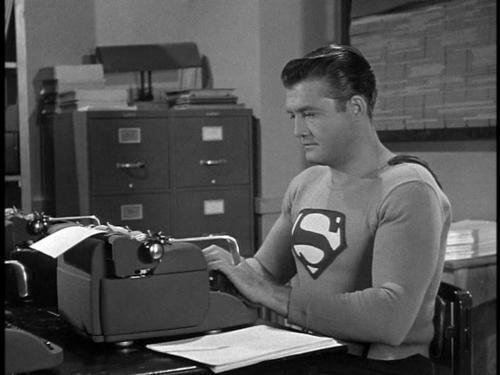 As a patient advocate, I have written emails and letters for over 15 years to politicians, newspapers and online media, columnists, and book authors -- usually with poor results. But it is that one letter out of a dozen that makes it worthwhile. My hometown newspaper, the Portland Press Herald, has refused to print any of my letters or editorials for several years now. I know they had good results when they did, because I would receive letters and calls from individuals thanking me or asking me questions. Letters to the editor that were published by the Press Herald in response to my letters tended to be on the malicious side. Politicians were defensive or accused me of being wrong. I have had responses from two authors. One actually thanked me and said his source was obviously misinformed. The other was on the nasty side. Her son is an orthopedic surgeon in the Army, and she said he knows what he is talking about – that our military and veterans are nearly all becoming addicts because of their pain treatment! She was a little more conciliatory when I wrote her back, but still didn’t understand why what she wrote was misleading and dangerous, which I found even more scary. I still owe Stephen King a letter for the misinformation he presented on pain management, addiction and how opioids work in “Under the Dome,” which I recently re-read. Even though the book is fiction, people will believe what they read. It was my latest email which brings me to writing this. Recently there was a political cartoon which really upset me. It showed a bottle labeled “opioids” pouring pills onto the U.S. Capitol and nearly covering it. 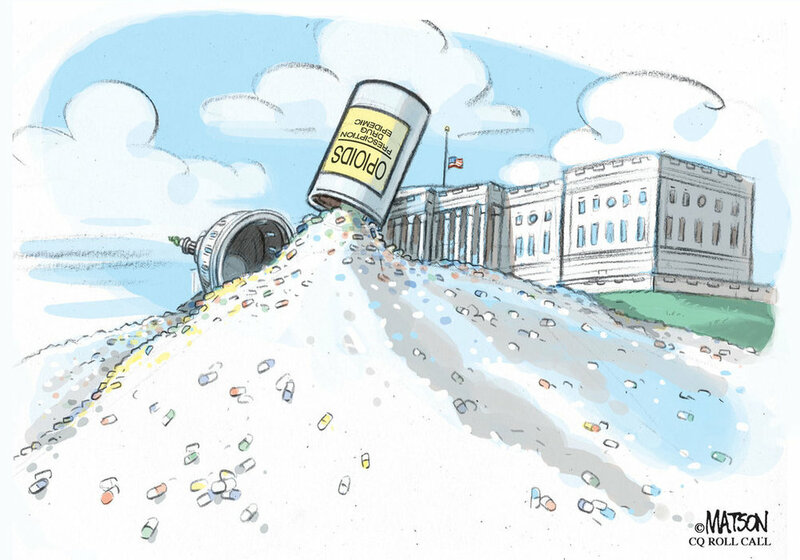 The cartoon is based on a recent story by 60 Minutes and The Washington Post that was critical of a law that limited the ability of the DEA to go after pharmaceutical distributors. I looked up the cartoonist – R.J. Matson -- on the Internet and sent him an email. It basically told the other side of the story and how the current situation is harming not only people in pain but those in the future as well. I did use the term “witch hunt” and my analogy of the four pillars of the so-called opioid epidemic: McCarthyism, Fear-mongering, Yellow Journalism, and Bigotry towards People in Pain with a foundation built on Opiophobia. I received a reply back almost immediately. “Far from a witch hunt, the United States Congress, at the behest of lobbyists for the pharmaceutical industry, passed legislation preventing the DEA from monitoring opioid abuse in the medical profession and taking action against that abuse,” Matson wrote to me. “The prevention of responsible oversight of the pharmaceutical industry and doctors who profit from overprescribing pain medication is the subject here. Actually, if this happens, I do applaud Congress. The DEA’s job is to prevent the illicit use of drugs, not to harass providers and patients or make medical decisions for them. One of the key words in Matson’s response is “overprescribing.” There is no evidence to support this word and anyone who uses it should be deeply ashamed. You are saying the provider should only prescribe “X” amount to patients and any amount more than that is too much. If you mean they are prescribing inappropriately, then you should also be ashamed. This is a judgment call between the patient and provider. What knowledge or expertise do you have to say otherwise? As for the reasons for the law, I seriously doubt it was “at the behest of lobbyists for the pharmaceutical industry.” Pharmaceutical companies are responsible for many wrongs -- like direct to consumer advertising -- but pushing addiction is not one of them. If Pharma was trying to "behest" anything, it has more to do with the prevention of widespread terrorism the DEA has inflicted on physicians and their patients. Telling “our” story may help weaken the stance of non-compassion. Review facts we know are wrong and point out why. Review facts we know are true and why we know this. Explain why opioid addiction is a fictional epidemic or has little relationship to prescribed opioids. Remind everyone they are only one accident, one surgery, one illness or one disease away from severe acute pain that may become chronic if not treated correctly. Remind everyone of the ethical and moral issues raised by ignoring and undertreating pain. Medical professionals are required to know them. Should media and politicians be held to lesser standards? A single letter may cause someone to think and put a crack in the wall of propaganda. Many more letters may be powerful enough to break that wall down. Janice Reynolds is a retired nurse who specialized in pain management, oncology and palliative care. She has lectured across the country on pain and co-authored several articles in peer reviewed medical journals.